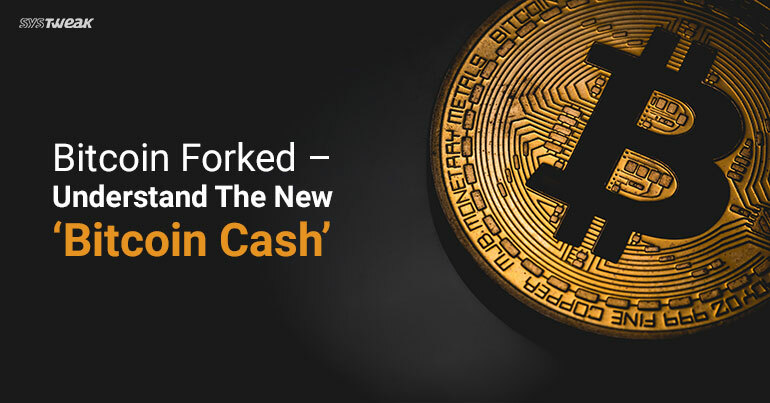 In an event dubbed ‘hard fork’, Blockchain has split between Bitcoin and Bitcoin Cash. The split has caused the Bitcoin prices to fluctuate. Here’s all you need to know about the Bitcoin hard fork. Bitcoin Cash – what is it? There’s no significant difference between Bitcoin and Bitcoin Cash, except that the block size of Bitcoin Cash is 8 MB, where Bitcoin is at 1 MB. Bitcoin Cash is a result of Bitcoin hard fork, which means a permanent and forceful divergence in the Blockchain. A group of bitcoin miners has ‘forked’ to create a new version of bitcoin; an alternative network, to demonstrate bigger blocks in a bid to increase network capacity. Bitcoin Cash is going to reject the code proposed by bitcoin developers that would seek to improve scalability and reduce the importance of block size in achieving capacity in future. In a situation like this, if you want to hold onto your Bitcoins, we would suggest you to transfer them in a wallet of which you possess a private key. Your Bitcoins should not be on a third-party system and you must have a direct approach to your currency. Experts suggest to wait for at least two weeks to have everything settled. However, it’s a little difficult to wait by looking at the bull in Bitcoin Cash graph. There’re various exchanges to buy some Bitcoin Cash from, like Bittrex, Freewallet etc. However, it is obvious that there’s scarcity of this currency due to mining issues. Coinbase, the giant cryptocurrency exchange has refused to back Bitcoin Cash. ” In the event of two separate blockchains after August 1, 2017, we will only support one version,” David Farmer, director of Biz Ops at Coinbase, wrote in a blogpost. “We have no plans to support the bitcoin cash fork.” According to Farmer, Coinbase isn’t going to support Bitcoin Cash due to its uncertainty in future. Must Read: Not Just Ransomware, Bitcoin Wallets Could Make You Lose Money Too! What will happen to my Bitcoins? Nothing happens to your Bitcoins. They are still yours. The hard fork in Blockchain doesn’t impact your Bitcoins residing in your wallets. But it’s important you have your cryptos in a wallet, you hold a private key for (like Mycelium and Copay). If you’re uncertain about Bitcoins but want to keep the investment sounding, you may buy Ethereum, Altcoin, Litecoin, NXT etc. If you’ve found interest in Bitcoin Cash, there are exchanges who’re willing to convert your Bitcoin in Bitcoin Cash. Use your discretion and investigate more before taking steps further as the Bitcoin Cash price was raised from $200 to $727 in a day and again dived to $468 today. Nothing is certain as of now. Bitcoin is indeed a great way of investment but the same thumb rule applies here – high profit is followed by higher risk. Although, the majority of miners and developers have asked to focus on Bitcoin (Bitcoin Core) and not on Bitcoin Cash due to its volatility and mining issues. Well, we’re going to follow the trail for some time before jumping to a conclusion.